Who collect statue definetely know prime 1 studio, in this time in my opinion no.1 leader in statue world. On fcb page statue collectors, someone post: prime 1 annouced berserk line,only paint image but prototyp if ist true come soon. I've seen some of their work, but I haven't really followed them much. Here is their website and fb page. I'm all for new companies taking on Berserk figures, so can't wait to see what they do! we probaly wont see any statues 2-3 years down the line they have way to many stuff previewed. im just hoping price is fair as goodsmile price was insane for their 1/6. The likened (by DirectDK) Bane figure is almost worth the money. He is my favorite comic villain. The DC figures seem to be around 1 meter, but why not go full scale then? All of them nailed the facial featured of the respected actors. Prime 1 has some quality stuff, but I fear the price of Berserk will worse than even we are used to. Maybe the larger scale will make up for it? Either way, I'm looking forward to seeing what they produce. For those wondering about Prices, Prime 1 is making an assload of Arkham statues in 1:3 and Batman as well as the Arkham Knight are $900US. Harley, Deathstroke as well as some others cost a bit more (I'm guessing due to bases, etc?). Their 1:2 Heath Ledger, Batfleck and Superman are $2000US. That should give you an idea of what to expect in terms of prices depending on the scale. Their products are high quality and their Ledger Joker for example has the head sculpt done by Adam Gu who use to make a killing on his custom 1:6 sculpts and the clothes are made by Kato who is the best in the business (you wouldn't believe how much his 1:6 custom joker replacement clothes would sell for). It looks like the 1:2 scale statues have the clothing though for extra realism while 1:3 is all sculpted. Aside from price, one thing that will get very tricky is finding places to store the boxes. Very valid points on this front. 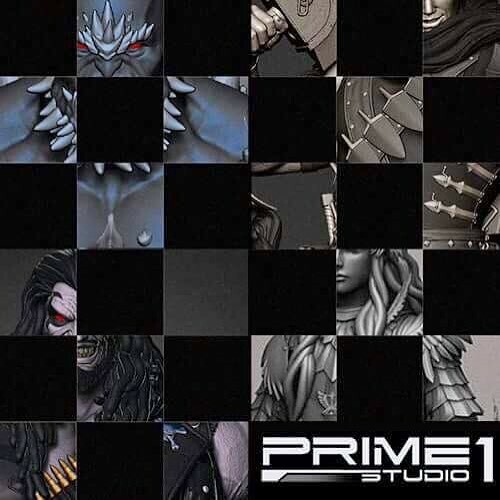 Prime 1 is a studio that can't be messed with. Sideshow even officially sells their work through their website so it's really top notch ~ which is also why it comes with such a hefty price tag. There's no question in my mind that what we see come out of their Berserk line will be top notch, and if you're willing to drop the cash on it you'll get more bang from your buck through these guys than you ever will through Art of War. I'm very eager to see what comes out of this! "Berserk is official. Fans of the anime can expect the first full review by March 2017. PLEASE JOIN!!! and make suggestions on the post. You all are the most educated bunch to be giving recommendations. They will be doing multiple characters. I think 5 planned at the moment with possibility of more to come. We may not want the same things but your suggestions would be a valuable asset in making sure Prime1 delivers excellent Berserk statues. Hope to see the thread flooded with your references. Thanks for the heads up Ahmetal. 1/4th! Wow. Gonna be huge! I posted a few suggestions on the FB thread. Man I'm really excited about this, came into this community kinda late so i missed out on a lot of statues. and a lot of statues in my opinion are not worth $1000+ for their size and the quality of the sculpts. These guys at Prime1 have some insanely detailed statues which makes me very excited and my expectations are high! and from what i seen, even the expensive berserk statues from different vendors always sell out so there is a big enough market. I suspect each P1 berserk piece to sell out which hopefully leads to them making more than the 5 planned characters. their 1/3 statues cost ~$1000 so their 1/4 will probably cost ~$700-$800?. 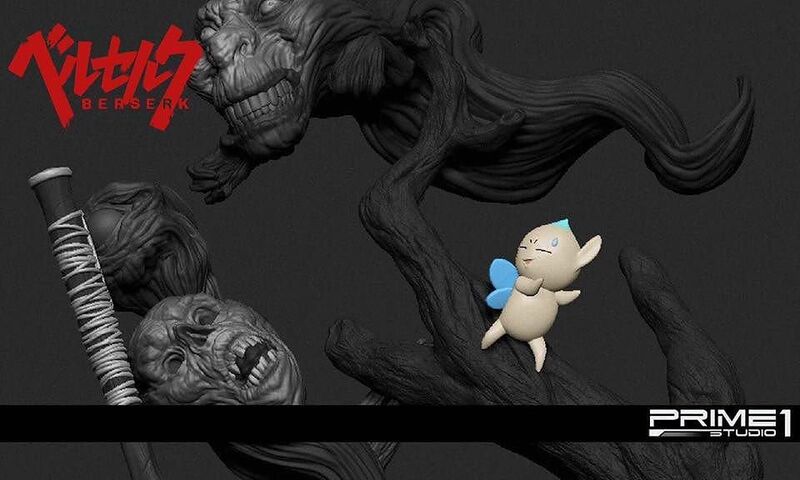 their first berserk piece will by my first statue can't wait. they gave a date, march 2017, is that when the first statue will be released or is that when they will first unveil it? No problem. Thanks for adding your suggestions. Very exciting times. I suspect each P1 berserk piece to sell out which hopefully leads to them making more than the 5 planned characters. their 1/3 statues cost ~$1000 so their 1/4 will probably cost ~$700-$800?. their first berserk piece will by my first statue can't wait. Im sure with resounding support from fans the berserk line will not end with just 5 characters. I'm Even hopeful of multiple variations of several characters. I wouldn't say that good... Faces could be better, hair are average, but most importantly poses are boring.. So much for creative poses... lol. Oh well, hopefully the likeness and paint job wlil be amazing. But I have to say I'm a bit disappointed with the pose thus far. I wonder about the pose myself. The Arkham game line has basic poses, but then again it's 1:3 scale, while their new Witcher 3 statue has better posing (being 1:4 I believe). Hopefully Guts will have an awesome pose. Speaking of the Witcher statue, it will have a translucent head sculpt with the paint over it to give it a more realistic skin effect. I hope they do the same with Guts. I have no doubt at all that this will be the be all, end all Guts statue. That link isn't working for me, but I imagine you were trying to post this? 1/4 scale. Expect for full reveal in Wonderfest Winter. #berserk #puck #sneakpeek #wonderfestival #winter #2017 #prime1 #prime1studio"
They both look amazing. Guts' knives look better now compared to that last picture posted by Mangetsu, and it also seems that they changed the facial expression or it could just be a different head. and the griffith looks great as well.